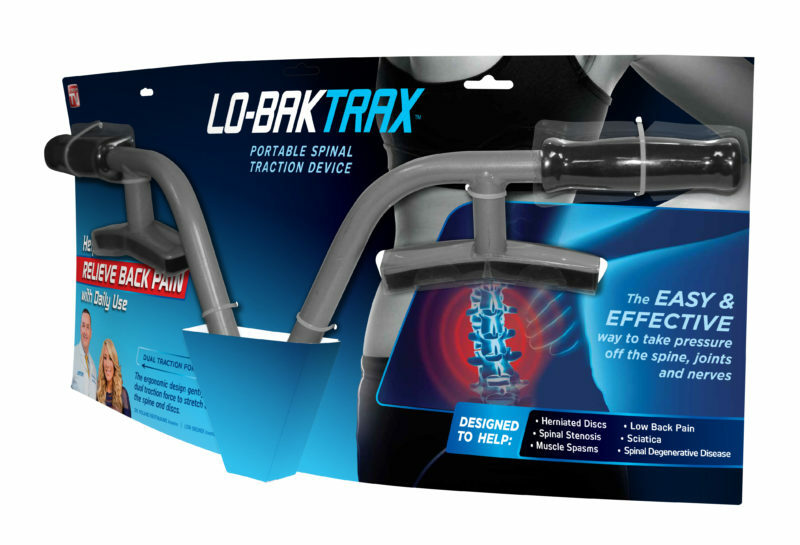 Lo-Bak Trax™ device is the easy and effective way to take pressure off the spine, joints and nerves. The Ergonomic Design gently distributes dual traction force to stretch and decompress the spine and discs. It helps relieve back pain associated with Herniated Discs, Spinal Stenosis, Muscle Spasms, Low Back Pain, Sciatica and Spinal Degenerative Disease with daily use. Get relief from back pain at home with the Lo-Bak Trax™ device. Includes Instructional DVD.Consult your physician before use.